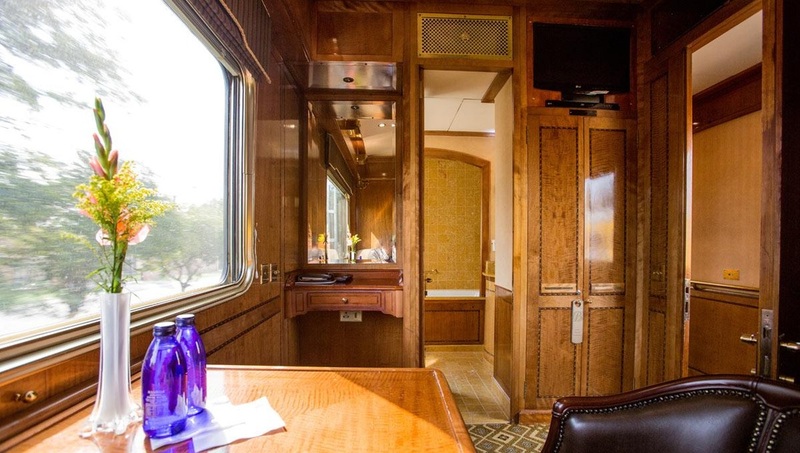 Luxury takes on a new dimension with The Blue Train. 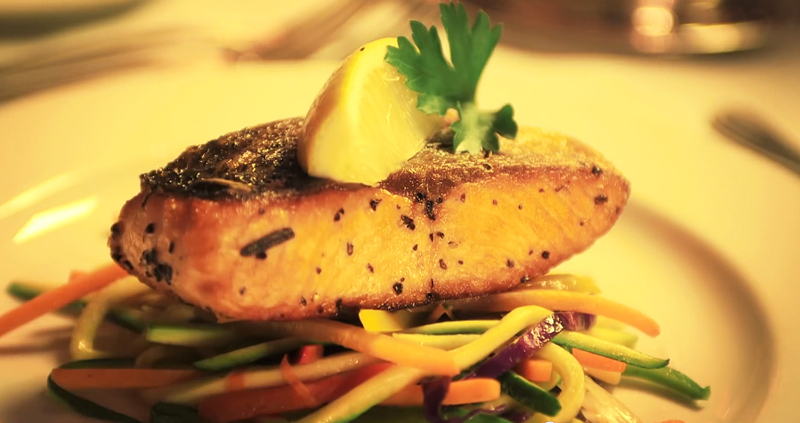 You'll feel it the moment you step into the pre-departure lounges in Pretoria or Cape Town. A warm-hearted South African welcome begins a journey that is defined by personal attention and devotion to detail. 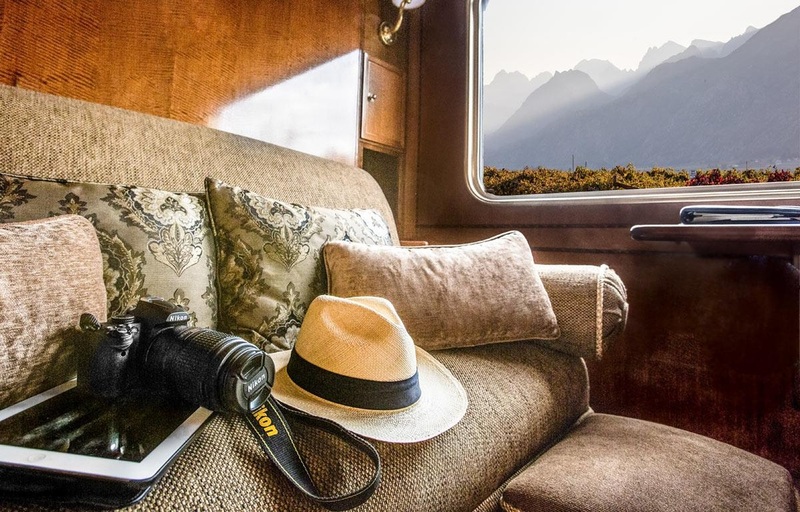 The Blue Train Journeys, both scheduled and chartered, take guests through some of the most breathtaking countryside to be found anywhere in the world. 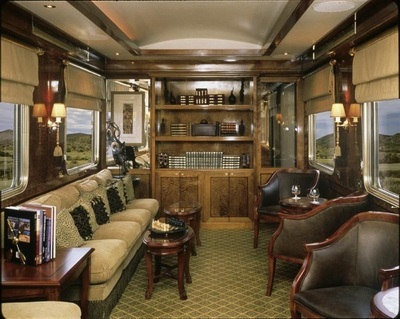 Train Safaris has been specialising in Luxury Train Travel for the past 23 years. 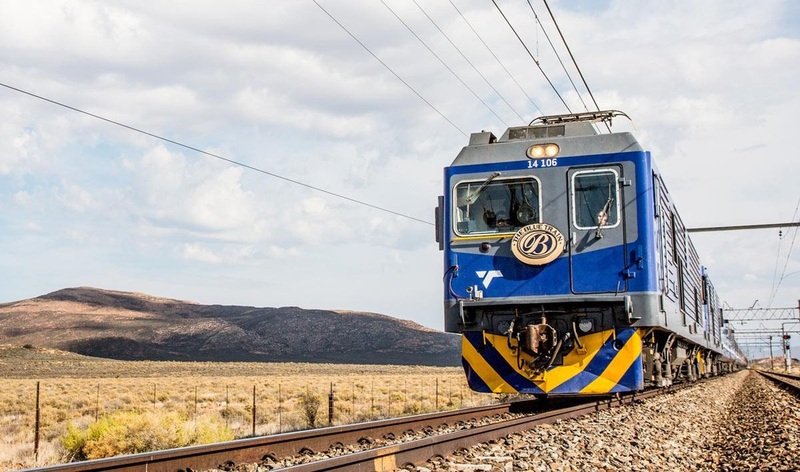 We are sales agents for both the Blue Train and Rovos Rail. 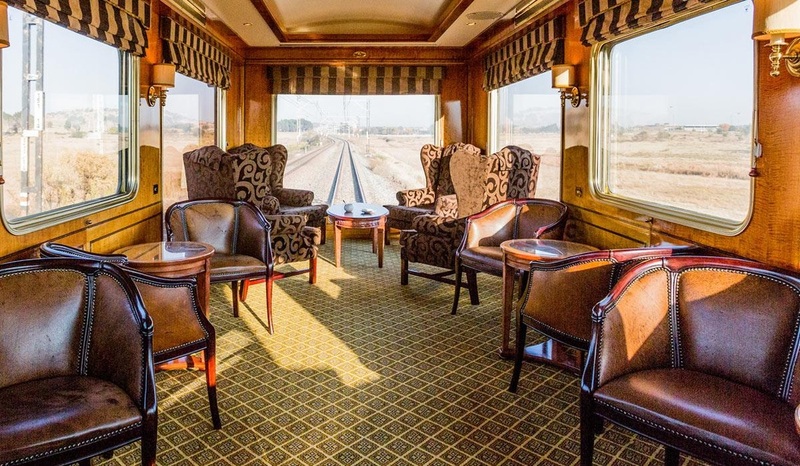 Our travel specialists will arrange your luxury rail tickets and will also be available to assist you with any travel services you might require in Southern Africa. Our experts will 'tailor make' vacation packages according to your needs and preferences. 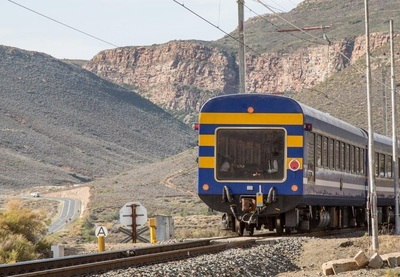 The Blue Train route between Pretoria and Cape Town is a two night journey of 1600 kilometres (994 miles), through some of the most diverse and spectacular scenery offered by the African sub-continent, including an off-train excursion in Kimberley for a visit to the Big Hole and Diamond Mine Museum. Click here for Detailed Blue Train Pretoria - Cape Town - Pretoria Itinerary. Free Hotel Night: One night free in a standard room with breakfast at either the Taj Hotel in Cape Town or Castello Di Monte in Pretoria (subject to availability). Chauffeur Transfer: One free transfer between the hotel and train station. 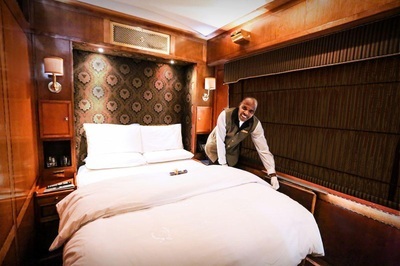 Book a Blue Train Journey between Pretoria and Cape Town and stay one night free in a standard room with breakfast at the Taj Hotel in Cape Town or at the Castello Di Monte Hotel in Pretoria. This promotion can not be combined with a package or other special offer / promotion (subject to terms and availability). ​The Blue Train route between Pretoria and Hoedspruit is a unique experience. Running only a couple of times per year you will traverse beautiful landscape and spectacular scenery on the way to the Kruger National Parkl. 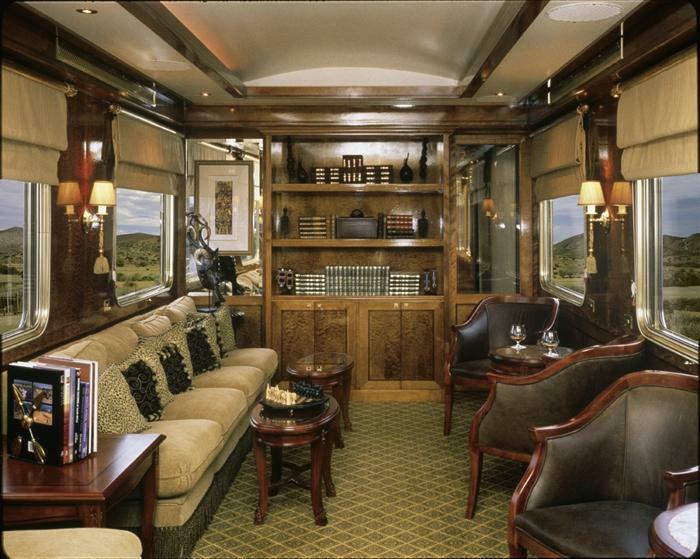 We will gladly arrange pre- and post train safari experiences. Add two nights in the bush at one of the safari lodges next to the Kruger National Park and enjoy daily safari drives and bush walks searching for the big five. All meals are included. 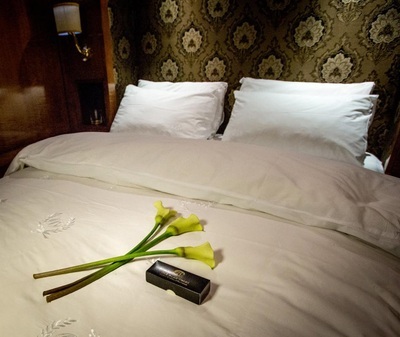 Have a look at a detailed itinerary including the 2 nights add-on package here. The Blue Train offers two type of Suites, the Del﻿uxe Suite and the Luxury Suite. Similar in size the Luxury Suite offers a bigger bathroom. By day, the elegant furnished Blue Train suites offer generous lounge chairs which afford unequalled views of Africa. As night falls the suites become sumptuous and subtly-lit bedrooms with a choice of either two single beds (twin) or a double bed, clothed in fine cotton linen and duvets. 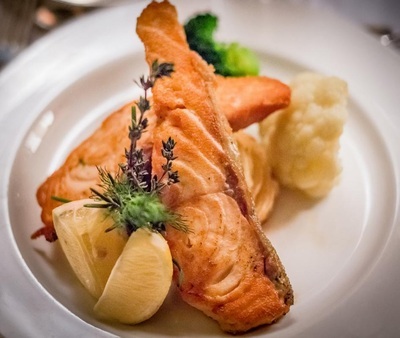 Considerable attention is paid to guests' needs. There is a writing desk next to the window, individually-controlled air-conditioning, telephone, safe and TV monitor with on board movie and music channels. Find out more about the different Blue Train Suites. 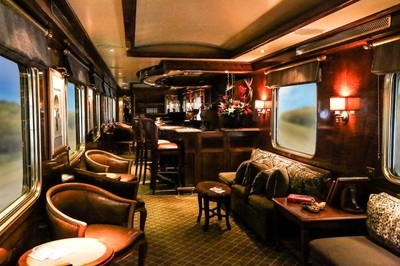 The Blue Train has two lounges: the main lounge and the Club lounge. The Club lounge has a more masculine ambiance and is expected to find favour with those seeking a peaceful place for after-dinner cognacs, coffees or cigars. This area is the only section of the train designated for smokers. High tea is served each afternoon in the main lounge. All lounges are fitted with air-conditioning systems. 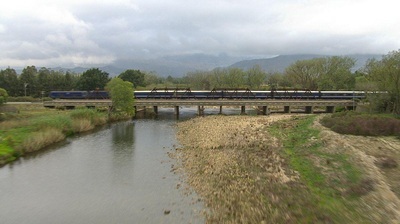 On most departures the Blue Train has an Observation Car at the back of the train with large windows offering panoramic views of the passing landscape and the rail tracks. Follow this link for more information on the Blue Train Lounges. 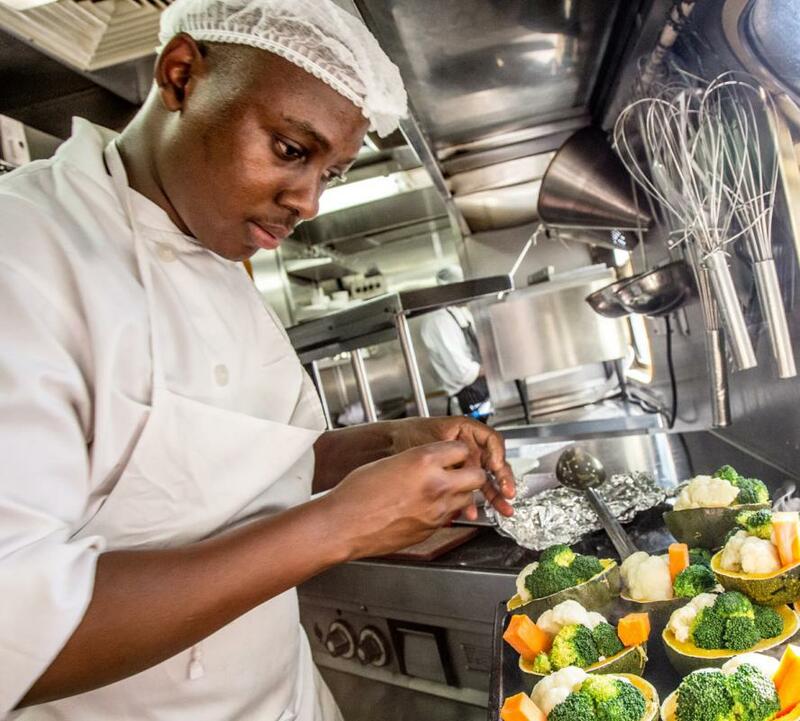 All meals are freshly prepared on board the train by executive chefs. 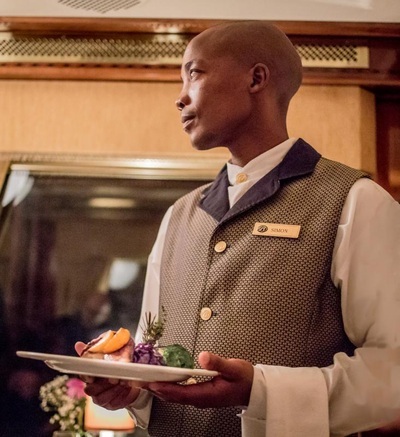 Carefully selected South African wines complement the gourmet cuisine served on The Blue Train. 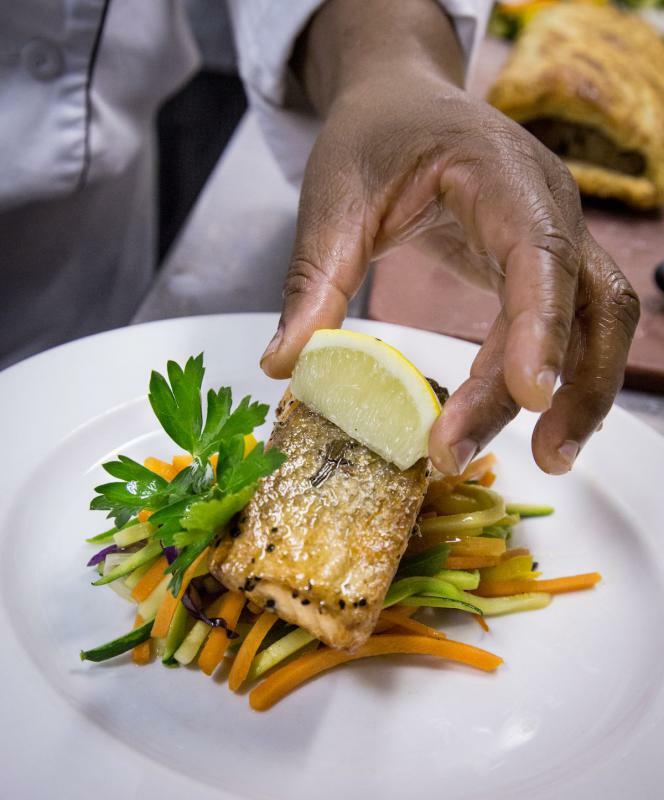 Savour wonderful food, freshly prepared in a state-of-the-art kitchen where gourmet chefs can cater for dietary requirements of today. 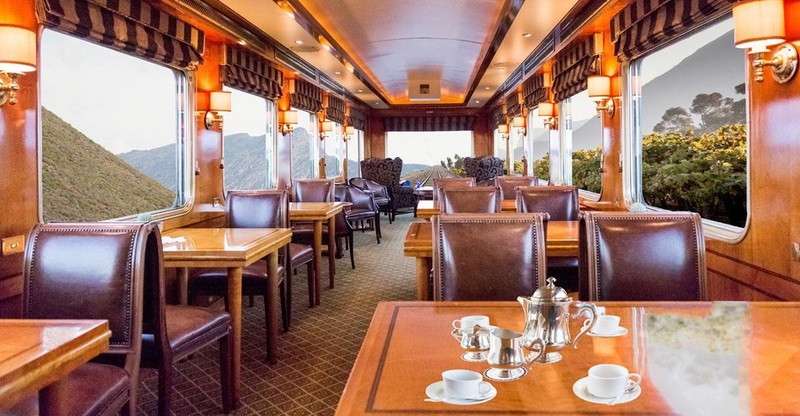 The dining car caters for 42 guests per sitting. Discerning diners can have the pleasure of the best silver and crystal service where formal dinner attire adds to the grandeur. 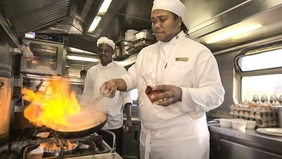 Click here for more details on Blue Train's Cuisine and Dining. 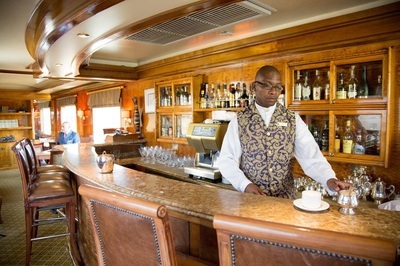 Our Specialist Travel Consultants would like to assist you with any pre- and post Blue Train travel services. We book your accommodation, flights, car hire, safaris, lodges, tours and transfers - all tailor made to suit your budget and needs. Have a look at our list of day tours in Cape Town, Johannesburg and Victoria Falls as well as our new Blue Train Combination packages. 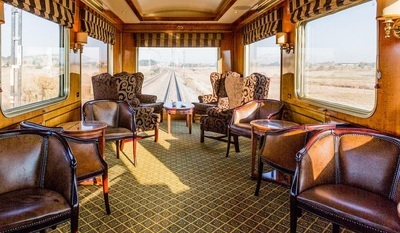 TRAIN SAFARIS is a product of RCJM Travel & Tours. 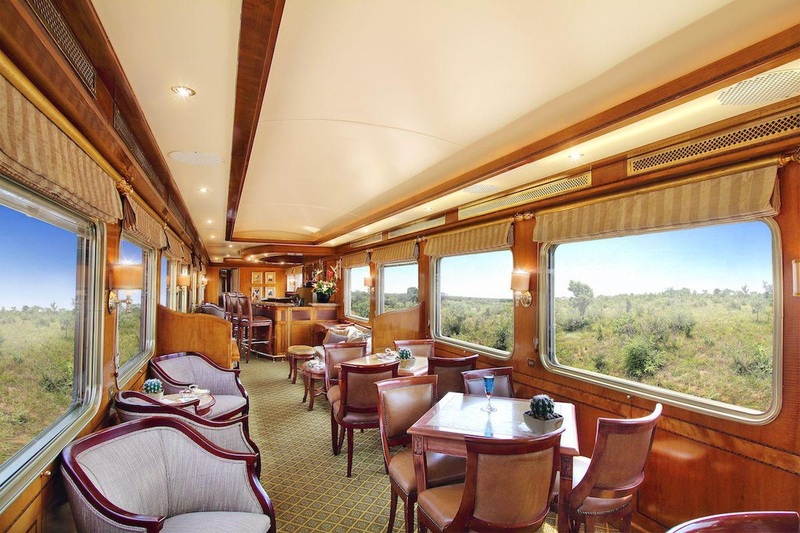 Specialising in luxury train travel, we are agents for both the Blue Train and Rovos Rail offering tickets and safari packages. 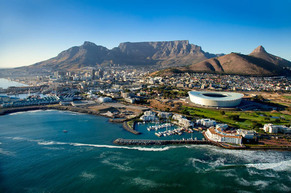 Speak to an expert for all your travel arrangements in Southern Africa. Blue Train Terms and Conditions as well as our General Travel Terms and Conditions apply to all requests.